Contractors (especially good ones) are in high demand following a disaster. At the same time, there’s a lot of money available to the construction industry due to payouts from insurance policies and the Federal Emergency Management Agency (FEMA). This combination of desperate homeowners and ready funds is attractive to con artists looking to make a quick buck and leave town. These “disaster chasers” are nothing new. The episodes of fraud became so prevalent following Hurricane Katrina that the Department of Justice established the National Center for Disaster Fraud. Commonly found scams include unlicensed contractors performing grossly inadequate repair work; people posing as FEMA inspectors demanding “processing fees”; blatant price gouging; and outfits drawing up quick, barebones contracts and then throwing in a lot of extras (and extra charges) as the work progresses. Fraudulent contractors may ask you to sign off on a contract right away. With so many affected by the wildfire, they may say you need to decide quickly or they’ll go to other clients. Ignore any pressure to sign a contract that’s in any way vague or confusing. If the scope of work changes during construction, make sure that’s reflected in an updated version of the contract that all parties hold. Keep records of all payments as well. Refuse any requests to pay for services in cash. If your contractor can’t provide a receipt of payment, that’s a sign they may be trying to avoid taxes or avoid creating a paper trail should you later pursue legal action. One payment option to consider is a construction escrow account. With this setup, all work must be approved and signed off on before fees are passed on to the contractor. Contractors’ licenses protect consumers by requiring workers to meet certain knowledge and safety standards. In California, it’s a felony to perform contracting work without a license in a declared disaster area. Any contractor you use should be able to provide a license number upon request. You can then verify the number with the Contractors State License Board (CSLB) and see if there have been any complaints filed against the contractor. After a disaster, some people will come in from out-of-state to find projects. However, all contractors must be licensed in California. Performing contracting work without a state license is illegal. Be suspicious of any contractors going door-to-door in your neighborhood offering low prices for “surplus materials.” These workers are usually looking to offload goods at a profit and have little incentive to perform the job well. After a disaster, don’t be surprised to find your neighborhood covered in slick flyers or newly printed business cards from people looking for projects. These companies or individuals are often unlicensed and hunting for quick work. Some scammers will use high-pressure tactics, like approaching affected homeowners and offering to start work on the spot. Even if you’re anxious to start rebuilding, take the time to research contractors before beginning any projects and never start without a contract. Consumers are afforded financial protections when dealing with contractors. The best way to avoid paying too much is to get at least three bids from licensed companies. Expect to pay somewhat higher prices for work after a disaster, but remember, price gouging is illegal, so it’s your right to stand your ground if a contractor is asking for an exorbitant fee. For most situations following a disaster, contractors can’t charge more than 10 percent higher than their normal rates. After you accept a bid, the contractor will ask for a down payment. 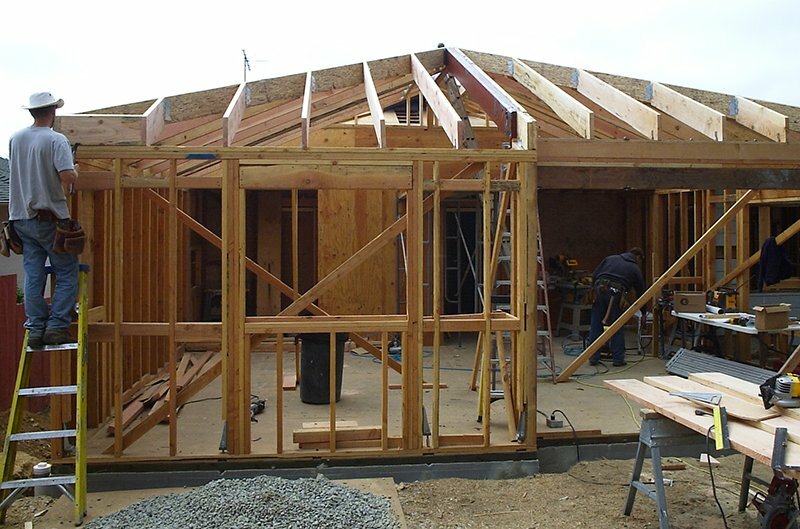 For reconstruction classified as “home improvement,” California law prohibits the contractor from asking for more than 10 percent of the contract price or $1,000 (whichever is less). The contractor can ask for more if the project is classified as “new construction.” Be suspicious of anyone who asks for an upfront fee that’s a significant percentage of the overall budget. If you’ve witnessed any fraudulent behavior in the areas affected by the wildfires, contact the Disaster Fraud Hotline, file a complaint with the Better Business Bureau or contact the California Department of Justice. Remember, homeowners have protections following a natural disaster. As you begin the rebuilding process, stay alert, trust your instincts and do your homework when choosing a contractor.